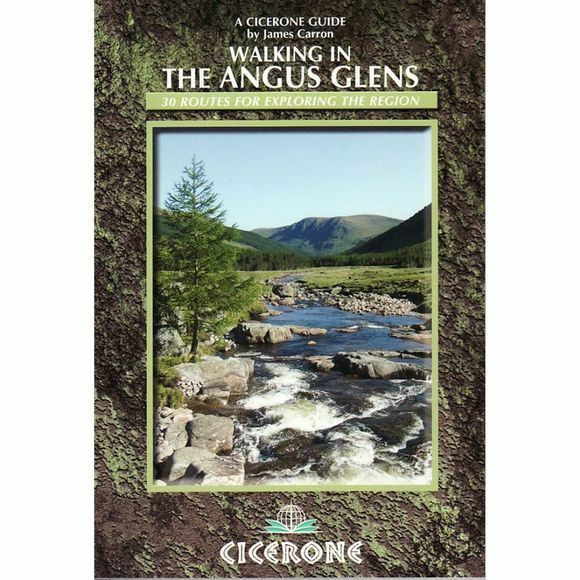 This handy guidebook describes 30 walks of different lengths and grades in and above the Angus Glens – Isla, Prosen, Clova, Lethnot and Esk. Situated just north of Dundee and within easy reach of Brechin and Forfar, the glens of Angus radiate like the fingers and thumb of a hand, stretching from the fertile plains of Strathmore deep into the southern ranges of the Cairngorms National Park. Each has a unique character and together they offer a rich blend of landscape, geology and natural habitat, encompassing high mountain peaks and lower hills, glacial valleys, craggy corries, natural and managed forestry, lochs and man-made reservoirs, cascading upland streams and gently meandering rivers. Being relatively remote and little-known, they also harbour a profusion of wildlife. The routes described here comprise 26 circular walks arranged by glen and a final, sixth section describing the old Mounth Roads, historic linear routes crossing between the glens. Every route is illustrated with clear OS mapping and colour photographs and a wealth of background history, geography and wildlife information. Contact details are also given for each area so that readers can check on the access situation before they set out.